One can of Bar Keeper's Friend does it all! The best professional powdered cleanser since 1882. 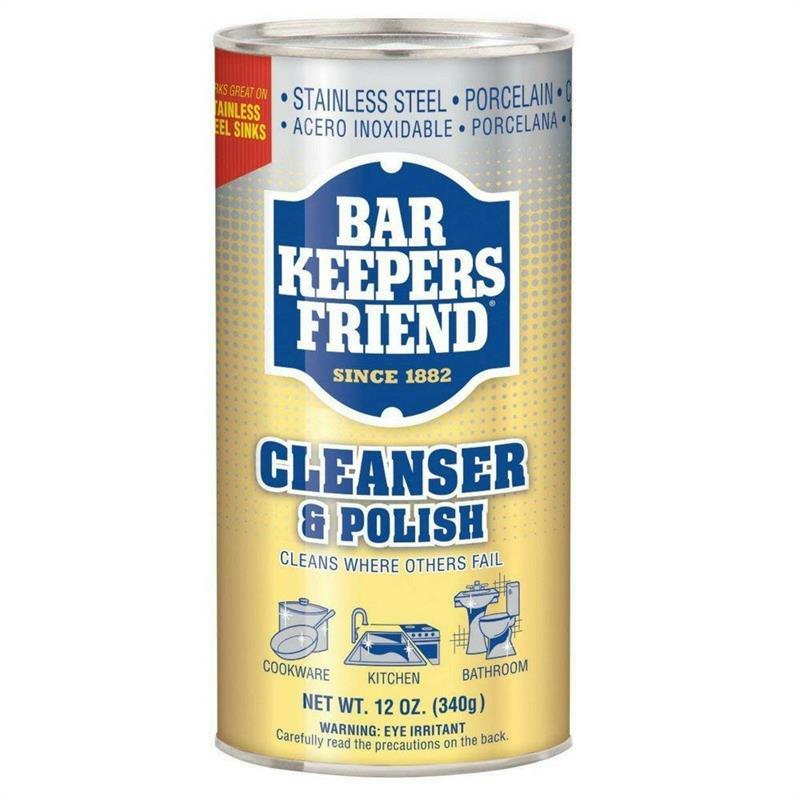 The unique formula in Bar Keepers Friend gently removes stains other cleansers cant. It will even remove rust and hard-water spots, and is great for cleaning stainless steel. 12 oz can. Bar Keeper's Friend works wonderfully on a variety of surfaces! 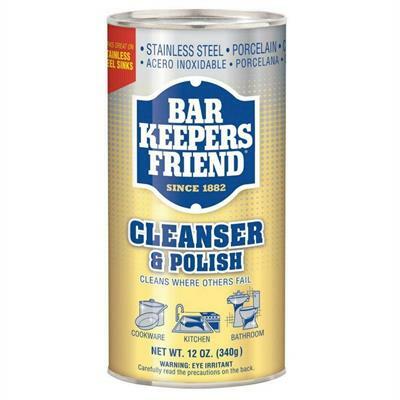 Kitchens, Baths, or in the Garage: Use Bar Keepers Friend?? to clean sinks made of porcelain, stainless steel or solid surfaces. 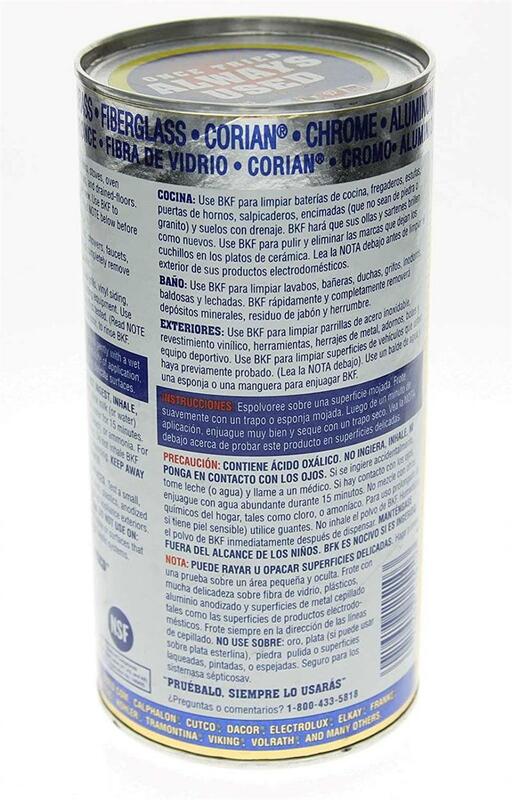 Other cleansers containing bleach are not recommended for stainless steel. BKF is also recommended for sinks in bronze, brass and copper. Daily Cleaning Use Bar Keepers Friend every day in kitchen and bath to keep surfaces clean and shiny. Its non-bleach formula removes tough stains, too. Removing Rust Bar Keepers Friend removes rust better than other top-selling cleansers. Removing Lime Bar Keepers Friend removes lime buildup and hard water stains better than other top-selling cleansers. Porcelain Use Bar Keepers Friend every day to clean and shine porcelain surfaces. Its also effective on tough hard water stains and rust. Stainless Steel Bar Keepers Friend cleans and shines stainless steel. 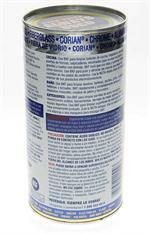 Other top-selling cleansers containing chlorine bleach are not recommended for stainless steel. Solid Surfaces Bar Keepers Friend cleans nonporous solid surfaces such as Corian. Chrome Bar Keepers Friend removes hard water stains and makes chrome fixtures shine. 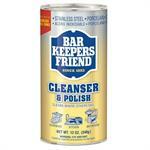 Copper & Brass Bar Keepers Friend removes tarnish and makes copper and brass shine. Do not use Bar Keepers Friend if the metal is lacquered. Fiberglass & Acrylic Bar Keepers Friend cleans fiberglass and acrylic without scratching. Tile & Grout Use Bar Keepers Friend to clean porcelain and ceramic tile. BKF also cleans light colored grout. Bar Keepers Friend Cleanser and Polish is famous for removing rust, metal tarnish, mineral deposits, and stains from most hard surfaces. BKF does not contain bleach, making it ideal for cleaning stainless steel. Being a powder, you can make either a thick paste or a watery slurry to match different surfaces and stains. A paste will be more acidic than the slurry. You'll need more acidity when dealing with mineral deposits, or rust stains. A watery slurry is ideal for removing tarnish from a stainless steel pan, or sink. 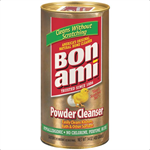 Many allergists recommend original Bon Ami because the natural ingredients contain no detergent, bleach, perfume, or dye. 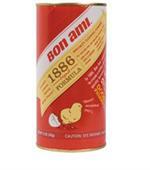 Original 1886 Bon Ami Formula. Bon Ami still uses the trademark feldspar and limestone as gentle, effective abrasives, but now combines them with even more sustainable cleaning agents from renewable corn and coconut oils. Plus we’ve added a touch of baking soda to help absorb odors.